A man has been convicted of plotting a mass murder in his home town. Shane Fletcher planned to attack the annual Uppies and Downies football event in Workington, Cumbria, when thousands of people would be lining the streets. 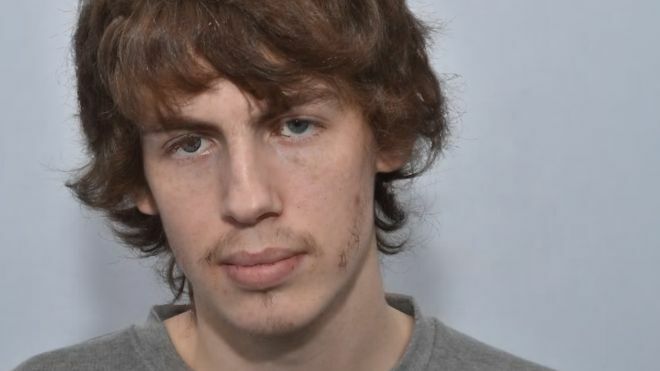 Manchester Crown Court heard the 21-year-old had bomb-making manuals and tried to solicit a friend to take part. He will be sentenced on 14 March once a psychiatric report has been prepared. The court was told he wanted to emulate Eric Harris and Dylan Klebold, who murdered 12 students and one teacher at their school in Columbine, Colorado, in 1999 before killing themselves. Fletcher had spoken of his hatred of Workington and of getting a van and “ploughing down” people in revenge for years of being bullied. He was arrested at his Wastwater Avenue home on 10 March, days after his probation officer contacted police. The officer warned them Fletcher had said the only things preventing him from carrying out mass murder were a lack of cash and access to weapons. Officers found a diary under his sofa which contained written instructions on how to make a bomb and improvised napalm, along with his mobile phone which contained an image of the Columbine killers lying dead on the ground. Numerous diary entries highlighted his anger, with one which read: “On the 4th April Workington will be oblitrated (sic), everything and everyone will be destroyed. Facebook messages were recovered which showed Fletcher attempting to persuade his “only friend”, Kyle Dixon, to take part in the attack. Fletcher did not give evidence in his defence but his barrister, Simon Csoka QC, said he was a lonely attention-seeker who was fully aware his comments to his probation officer would be passed to police. He argued the Facebook chats with Mr Dixon were “stupid and idiotic” conversations between two young men which were “a world away from these fanciful theories about the Columbine massacre”. He had been seeing the Probation Service since April 2017 following his release on licence from a jail sentence. The jury found him guilty of one count of soliciting to murder and two counts of collecting or making a record of information useful for terrorism purposes.